Turkish protesters have now taken to the popular non-profit fundraising site Indiegogo with a new campaign to build momentum on what some are calling a fledgling revolution. 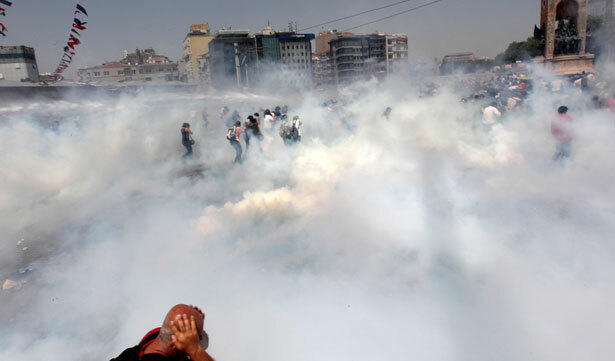 Thousands of demonstrators in Turkey today vowed to press on with their campaign after clashing with police around Istanbul’s central Taksim Square into the early hours of the day, the fifth straight day of protests. They were joined by the Confederation of Public Workers’ Unions, which is staging a two-day strike to show solidarity with the protesters and to demand better workplace safety and higher wages. Turkish protesters have now taken to the popular non-profit fundraising site Indiegogo with a new campaign to build momentum on what some are calling the start of a revolution. What if we felt the same way about Turkey as we feel about Game of Thrones? Read Michelle Dean on revolution on television and in real life.